The Jackson 5 were a staple of the Motown era, and brought with them performance and musical styles from black spirituals and popular music to propel them into the spotlight. Time magazine describes the Motown Sound as containing “great melodies, lots of tambourines and hand clapping, blaring horns, interplay between the lead singer and his or her backup vocalists, driving bass lines and foot-slapping drum parts”. The parallels between these musical sounds and black spirituals and ring shouts are quite evident. The “interplay between the lead singer and his or her backup vocalists” is representative of the interaction seen in many ring shouts. “Foot-slapping drum parts”were played on percussive instruments, but emulate the liveliness and excitement of pattin’ juba. One of the songs performed that night in Chicago was their number one hit single “I Want You Back”. This song showcases many of the Motown characteristics. Listen to the “driving bass line” in the opening of the song, and the “interplay between the lead singer and his or her backup vocalists” throughout the song. As you’ve heard, The Jackson 5’s music is infectious, and it is no surprise that they reached international success. One critic writes on the successful aging of The Jackson 5 in the music -focused newspaper Zoo World. “Each new album releases keeps getting better and better…The musicianship is of course of the highest quality”. Again, commentary is focused on the music of the group. This represents a huge shift in cultural perception. 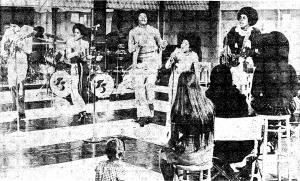 While Motown groups contained predominately black musicians, it was the music that sold and topped popular music charts of the day. Musical elements dominated the conversation surrounding Motown and The Jackson 5, and such discussions highlight the past musical influences of spirituals and ring shouts on the Motown sound. Calloway, Earl. 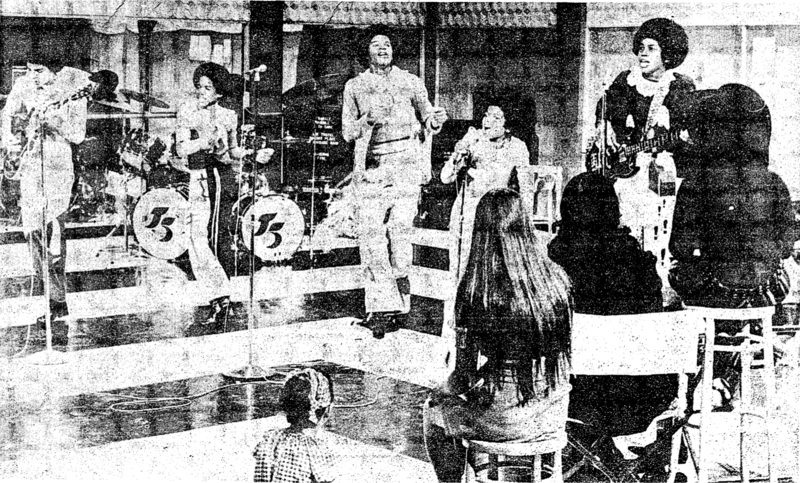 “Jackson 5 Thrills Fans, Set for TV show.” Chicago Daily Defender (Chicago IL) , Sep. 9, 1971. https://search.proquest.com/docview/494356816?accountid=351. This entry was posted in Uncategorized and tagged Michael Jackson, Motown, Ring Shouts by Morgan May. Bookmark the permalink.